A Chinese woman who allegedly breached security at US President Donald Trump's Florida club while carrying Chinese passports and a flash drive containing malware, had multiple electronic devices and thousands of dollars in cash in her hotel room, federal prosecutors have said. Yujing Zhang, 32, appeared at a detention hearing in a Florida federal court on Monday afternoon, reports CNN. She was arrested earlier this month and charged with unlawfully entering Trump's Mar-a-Lago resort in Palm Beach town. There were also several credit cards in her name and she had more than $8,000 in US and Chinese currency, with $7,500 of it in $100 bills. Prosecutors have called Yujing a flight risk because she has next to no ties to the US. The federal magistrate judge who held the hearing on Monday will decide next week if Yujing should stay in jail until she is tried, or be released to live in the US as she awaits trial. Yujing has not yet entered a plea to the criminal charges she faces, and prosecutors said they plan to formally indict her in the coming week, CNN reported. "She lies to everyone she encounters," prosecutor Rolando Garcia said. "Her ties are all in China." Zhang arrived in Newark on a flight from Shanghai on March 28, Garcia said. She went to Mar-a-Lago on March 30. This wasn't the first time she visited the country in recent years. Trump has described the incident as a "fluke situation", but the case so far has highlighted the possibility of security flaws at the private club. 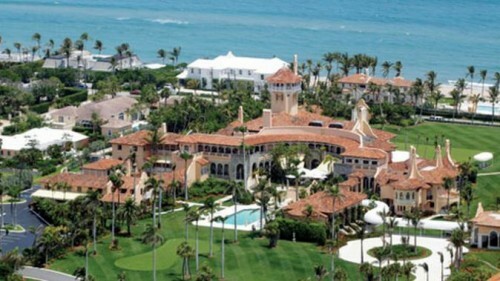 The resort allows members, their guests and people attending events to enter and move around, even as Trump makes frequent visits to the property.